Posted by Christian Knightly on February 9, 2009, updated September 8, 2014. Heather specializes in wedding photography, and currently serves on the board of directors for the Professional Photographers Society of Central Florida (PPSCF). She is also a member of Florida Professional Photographers (FPP) and Professional Photographers of America (PPA). oooh! I just found this! Thanks so much for the wonderful blog you made for me. I love it. So much. Like, I am in love. With my blog. 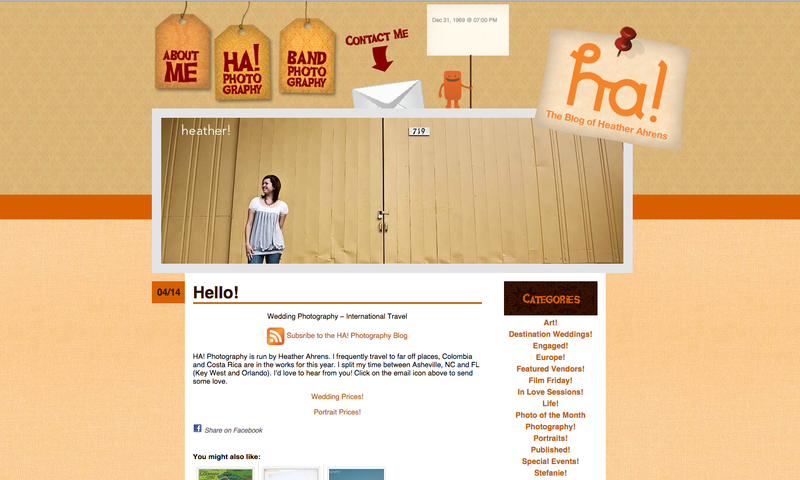 I love the new blog that you all created for Heather!! We have been working together for over a year now and I really feel that this new look suits her well! You all are amazing. If I am ever ready to start a blog of my own, I will look here first. Bravo! Thanks Stefanie! We had a great time creating this blog, especially creating and animating the little blog monster.